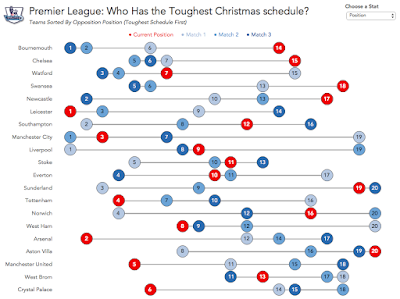 Premier League: Who Has the Toughest Christmas Schedule? It's nearly Christmas, which means we have the best time of the year quickly approaching for any fan of English football...the Christmas fixtures. They come fast and furious, and my beloved Arsenal sits in 2nd position behind surprise leaders Leicester City. But who has the toughest run of matches? 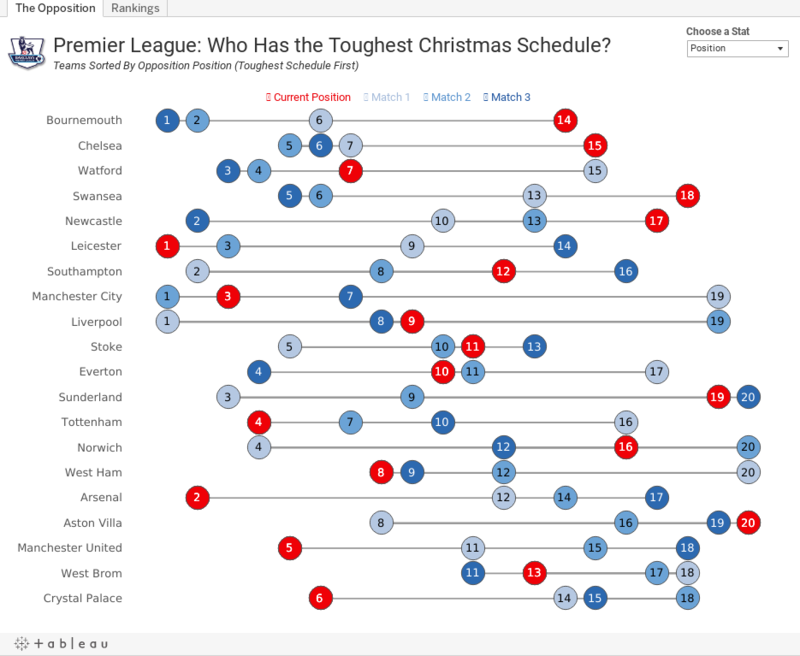 Using the viz below, you can see that, based on the average position of their opponents, Bournemouth has the toughest run followed by Chelsea. Leicester has the 6th toughest run, while Arsenal have the 5th easiest. 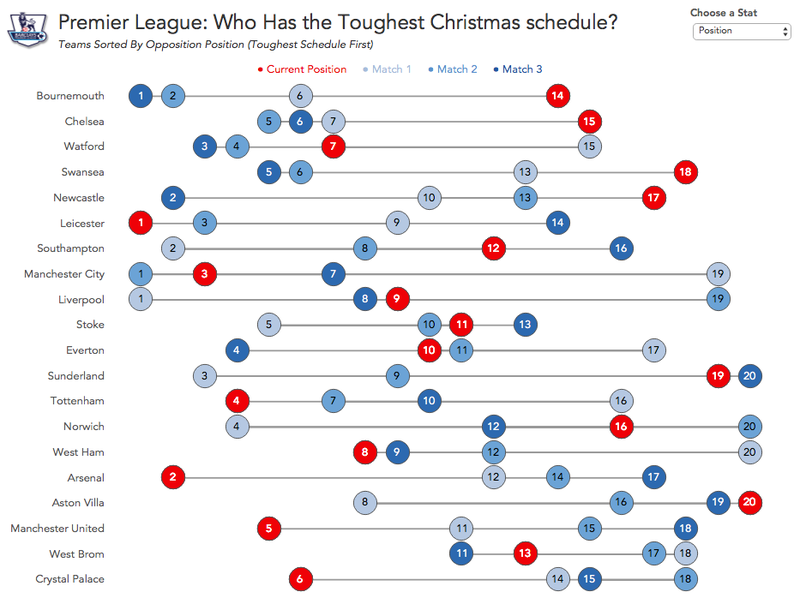 This provides hope that Arsenal can finish the festive season on top of the Premier League. I've added a parameter on the upper right to allow you to view by opposition points as well. In this view, Bournemouth and Chelsea still have the two toughest schedules, but the teams with the easiest schedules shifts a bit. 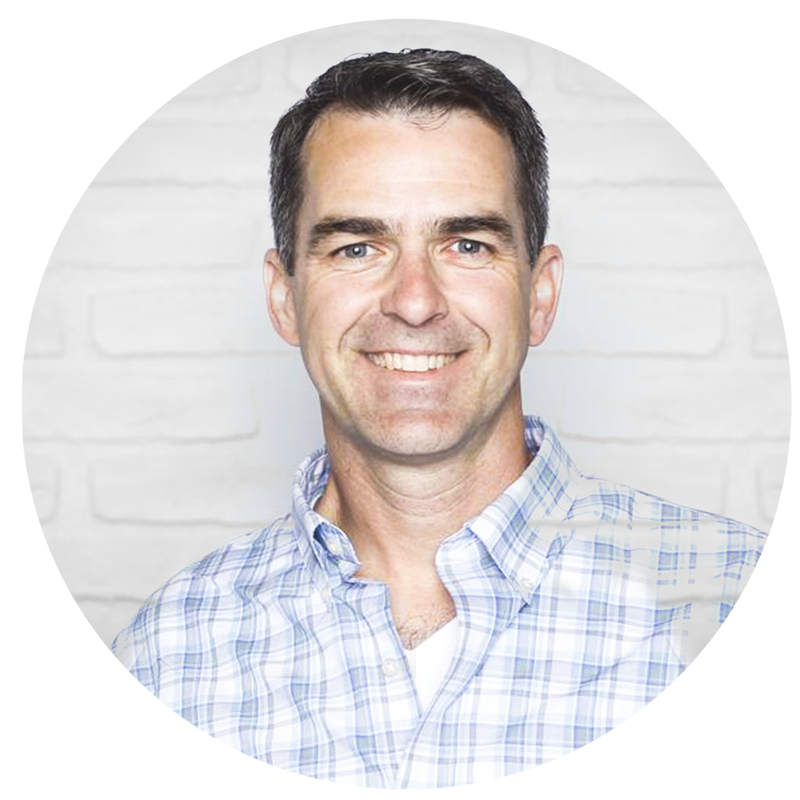 On the 2nd tab, I've added a bit of an exploratory view. Pick a metric and see the team rankings. If you don't mind my asking, which Viz layout did you choose to get this view? 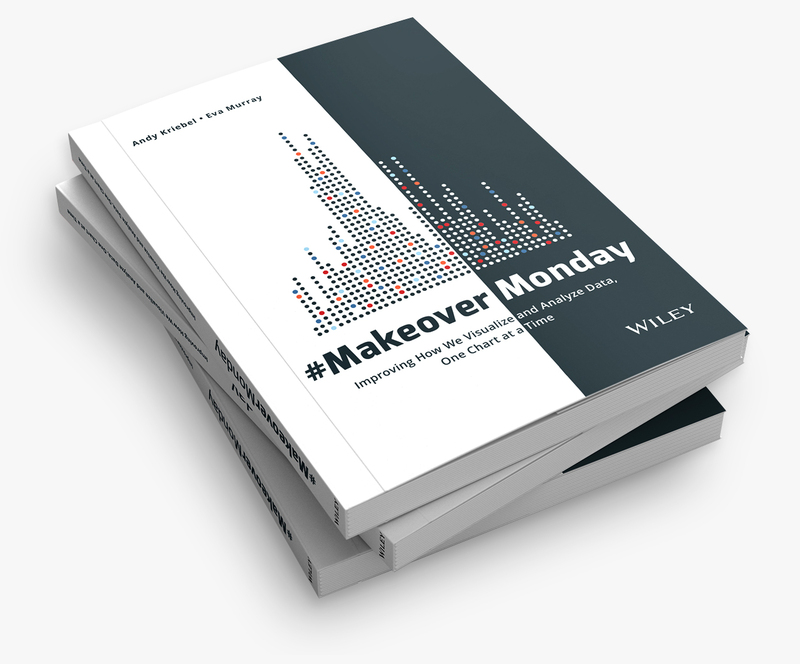 I don't know off the top of my head but you can download the workbook and see for yourself.